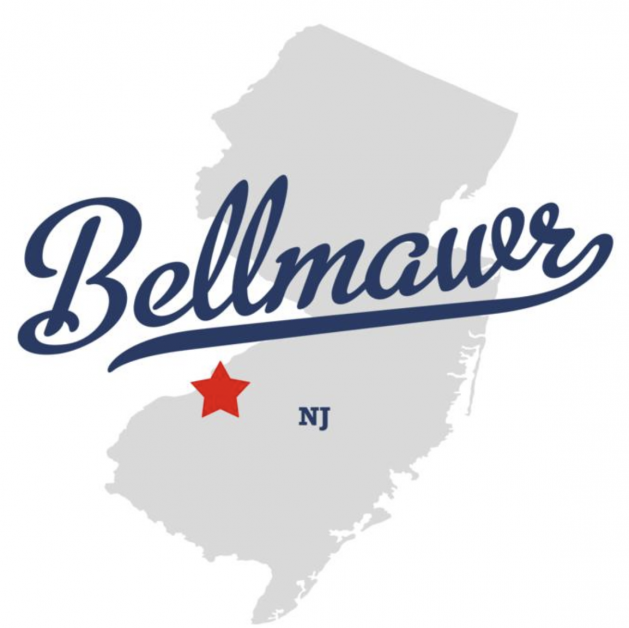 Residents and business owners in Bellmawr, NJ, Floor Skinz has great news for you! We are serving in your area. We are not your typical flooring company. Floor Skinz specializes in concrete floor coatings. 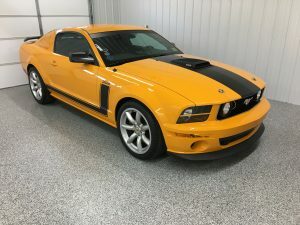 You may ask, “What is this?” Concrete floor coatings are a way to preserve, protect, and strengthen your concrete floors. The thing that singles us out as being the best concrete floor coatings contractor is that we combine strength and beauty in our floors. Most floor contractors pick one over the other, but not Floor Skinz. Our floors are the toughest and the most aesthetically pleasing on the market. Don’t believe check out pictures and videos and see why we say what we say! 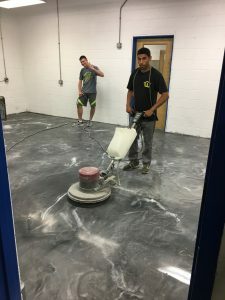 Two of our guys sanding metallic epoxy floor coating before applying top coat of clear – Millville, NJ. Custom logo embedded between two layers of clear polyaspartic – Vineland, NJ.